An enormous energy is constantly emitted from the Sun in the form of radiation or particles, and a fraction of the energy is flowing into the Earth to maintain the environment where human beings and other living entities reside. The solar wind, a continuous stream of plasma ejected by the Sun, is one of the energy transfer processes between the Sun and the Earth, although many details of this process remain unelucidated to date. A notable fact revealed by space observations is that the solar wind is ceaselessly evolving over a wide range of spatial and temporal scales, causing significant changes and sometimes severe disturbances in the Earth’s upper atmosphere or geospace. Such influences of the solar wind bring about destructive consequences for spacecraft and astronauts in geospace, and even for social infrastructure systems on the ground. Furthermore, it is hypothesized that the solar wind affects the environment closer to the Earth’s surface, significantly contributing to climate change. Therefore, accurate elucidation of the energy transfer process by the solar wind is needed to reduce risks of geospace disturbances and to obtain a better assessment of future climate change. The sunspot, which is a manifestation of the Sun’s magnetic field, exhibits cyclic variations of approximately 11 years (so-called “solar cycle”). The solar wind also drastically varies in close association with the solar cycle change of the sunspot. 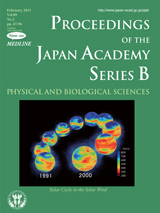 The cover illustration shows the annual variation of the solar wind speed distribution derived from interplanetary scintillation (IPS) observations for the period between 1991 and 2000; i.e. Solar Cycle 22 and 23 maxima. 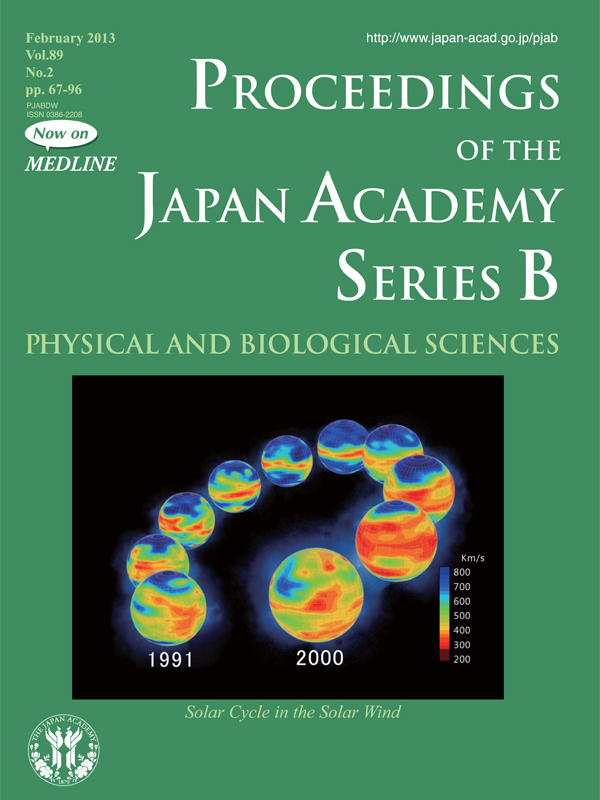 IPS observations have been carried out on a long-term basis at the Solar-Terrestrial Environment Laboratory of Nagoya University, and they are used to determine global feature of the evolving solar wind structure. Many interesting aspects of the solar wind have been revealed from the IPS observations, as reviewed in this issue.